The Pinhole Surgical Technique can treat gum recession faster than traditional Gum Grafts. Your smile is one of the first things people notice about you. If you’re embarrassed by receding gums or experience discomfort due to increased sensitivity, you might hide your smile behind your hand or refuses to grin at all. Traditional gum recession treatment, known as a gum graft, is effective, but involves a painful procedure with a lengthy recovery process. Patients who are hesitant to undergo a surgical gum grafting have had limited options for restoring a healthy smile- until now! You may know or have heard of the Pinhole Surgical Technique before, but want to know more before seeing if it is for you. This is why we’ve put together this list of frequently asked questions about gum recession and the Pinhole Surgical Technique. We hope this will help clear up any concerns or questions that you may have. If you have additional questions we recommend scheduling an appointment with Dr. Trujillo where he can assess your case personally and give additional insight into your unique case. Gums can become pushed back or wear away and expose the pink tissue that covers the roots of the teeth. Receding gums becomes a health concern when the roots of the teeth become exposed, leaving the teeth at risk of decay, infection, and tooth or gum loss. If patients start treatment at an early stage, they can stop or reverse the process of gum recession. If you notice that your teeth look longer or that your gums are smaller you may have receding gums. Frequent sensitivity to some food and drink can also be a sign of gum recession. Receding gums may not sound serious but it can actually be quite concerning. 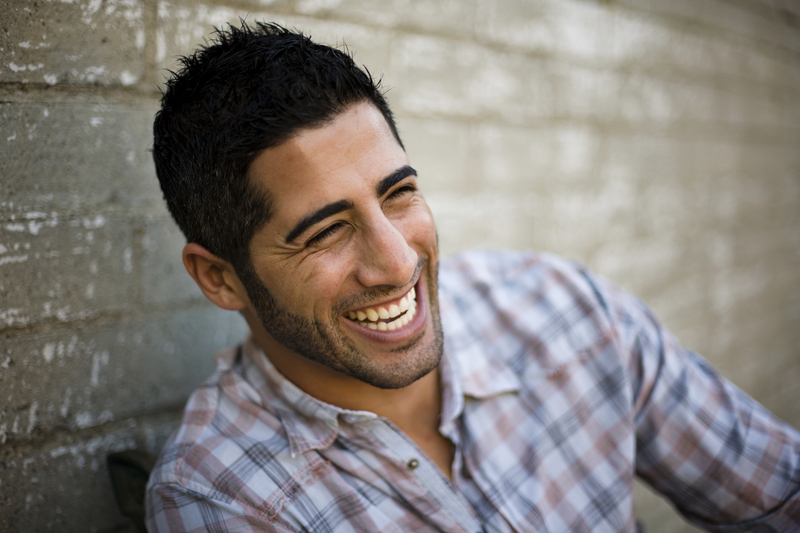 If left untreated, gum recession can cause your teeth to loosen or even fall out! Poor oral hygiene and periodontal disease contribute to gum recession. However, receding gums can also happen in people with good oral hygiene. Physical wear of the gums and inflammation of the tissues are the chief reasons for recession. Some people may also be prone to receding gums because of inherited factors. These factors include the position of the teeth and gum thickness. Physical wear of the gums by vigorous tooth brushing or the use of hard bristles is a further, common cause of receding gums. Over-brushing causes receding gums even when dental hygiene might otherwise be good. Other physical factors that push the gums back include lip or tongue piercings, and misaligned teeth. Some people are more prone to the inflammatory causes of receding gums due to having more delicate tissue. Thinner gum tissue makes it more likely that plaque will cause inflammation. The Pinhole Surgical Technique (PST) is an example of a recent dental advancement. It is minimally invasive soft-tissue grafting surgery that combines specialized surgical instruments and a modification of the tunnel technique. The PST utilizes “pinhole” incisions made above the affected tooth or teeth with a syringe needle. The number of these pinhole incisions is determined by the number of teeth that need to be treated. Specialized instruments are then used to elevate the existing gum tissue to cover the root that has been exposed. Collagen tissue or membrane strips are then placed where the pinhole incision was made. This will hold the tissue in place and help with the healing. After enough regenerative material is placed and the tissue has been sufficiently bulked and advanced, the procedure is complete. How Is The Pinhole Surgical Technique Different From Traditional Gum Grafting? In the past the only way to help with receding gums and exposed roots was gum grafting surgery. This means that gum tissues was collected from other areas of the mouth and then flaps were cut around the exposed teeth. Afterward, the graft was sewn into place and it took patients weeks to recover. Not only did this create multiple wound sites but it caused a lot of bleeding and was often very uncomfortable for patients. The Pinhole Surgical Technique was created to eliminate the many issue that gum grafting caused. How Long Does Pinhole Surgery Take? Traditional gum grafting can take hours to perform. But with the invention of the Pinhole Surgical Technique, Dr. Trujillo can work on multiple teeth at once completing the procedure in as little as 10-15 minutes. Of course keep in mind that the actual time does depend on each individual’s case and other circumstances. What Is Recovery Like After Pinhole Surgery? This procedure is minimally invasive and only local anesthetics are required. Similar to getting a filling or a crown. Healing is quick. Patients should be able to return to their daily activities while still taking some care to protect the gum tissue. Patients should not brush or floss for 24 hours following the procedure. This will give the gums a chance to heal. Patients should also eat softer foods and especially avoid eating hard or crunchy foods for 24 hours. A mild over-the-counter pain reliever may be required for some. What Are Some Benefits of The Pinhole Surgical Technique? No discomfort from sutures because there are none! Am I A Candidate For The Pinhole Surgical Technique? Is Pinhole Surgical Technique Covered By Insurance? Dental insurance usually covers deep cleaning and surgical procedure that are considered medically necessary but not those done for cosmetic reasons. For your case it is best to give us a call or to schedule an appointment where we can help answer insurance questions. Why Is Dr. Trujillo Qualified To Perform The Pinhole Surgical Technique? The Pinhole Surgical Technique was invented by Dr. John Chao. 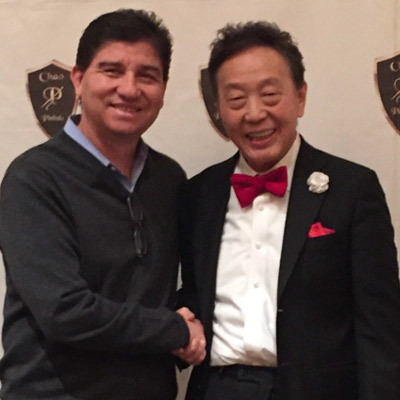 Dr. Trujillo of Arizona Periodontal Group is proud to have met and been personally trained by Dr. Chao. The Pinhole Surgical technique is a revolutionary new procedure created to be minimally invasive with a very short recovery time. This technique is practiced and celebrate by cutting-edge dentists all over the world. However, not all professionals are trained to perform this kind of surgery. Dr. Trujillo is specially trained in this new procedures and enjoys helping his patients in a way that involves less pain, faster healing time, and amazing results! Dr. Trujillo is helping patients in Phoenix improve their smile with the Pinhole Surgical Technique. If you are looking for a way to help with your receding gums, look no further. Schedule an appointment with Arizona Periodontal Group today!